At last week's New York Toy Fair Quantum Mechanix had lots of new Star Trek stuff to show off, including a new range of model ships, some new action figures, badges, and more! Continue below to check them all out. 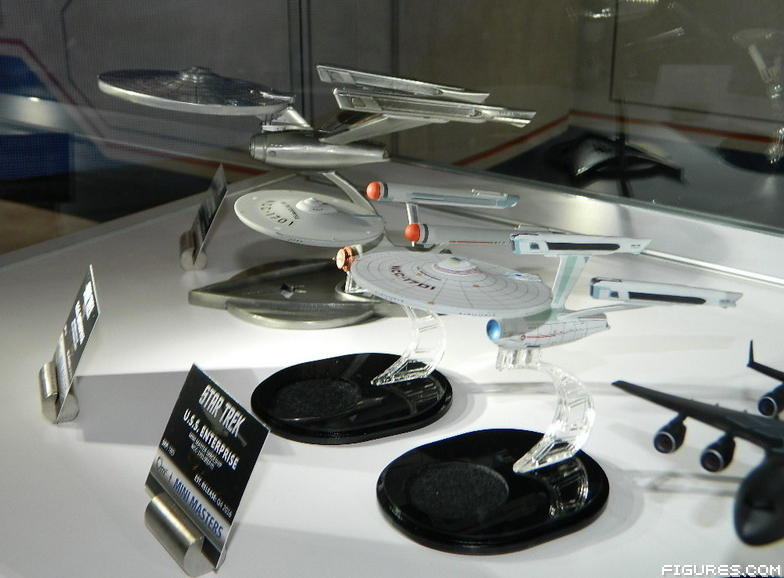 The most exciting news for me was that QMx will be launching a new range of small ship models. 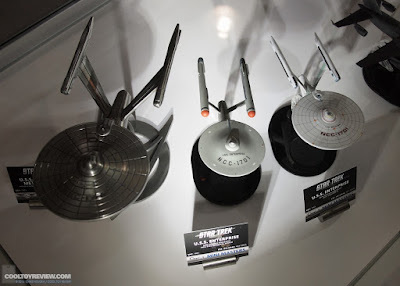 On display from this Mini Masters collection were the original and refit versions of the USS Enterprise, and very nice they looked indeed. They are expected to arrive towards the end of the year. Displayed alongside the new small models was the slightly large metal version of the refit USS Enterprise. QMx first announced this a couple of years ago, and I had rather assumed they had given up on it, given the silence since, but now it seems to be on course to arrive later this year. Another new reveal came in the form of one-sixth scale Kirk and Spock action figures. 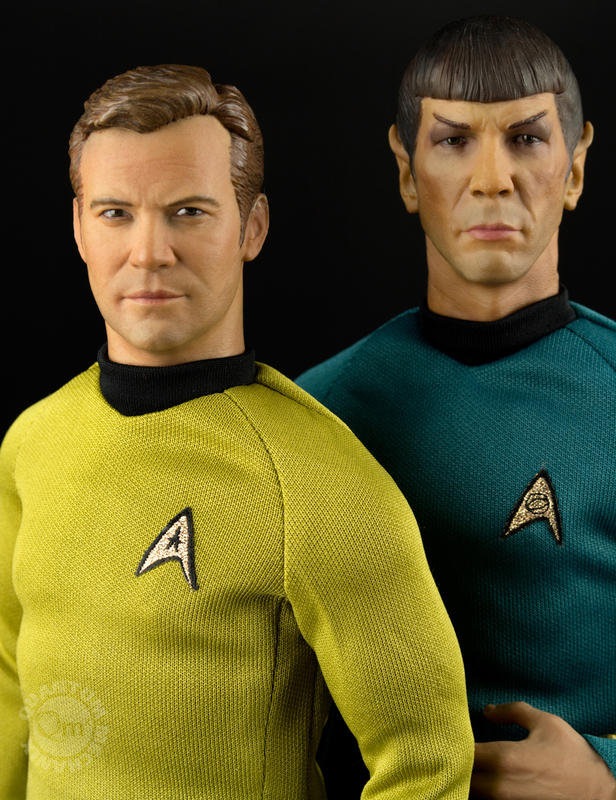 These will feature cloth clothing and incredibly realistic head sculpts. 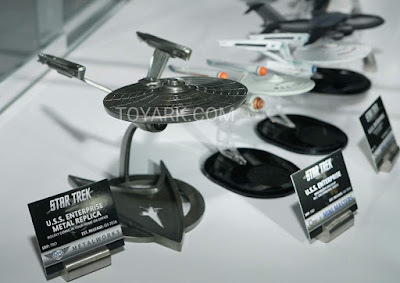 QMx released official photos of them to coincide with the Toy Fair, via Toy Ark, where you can see a couple more images. 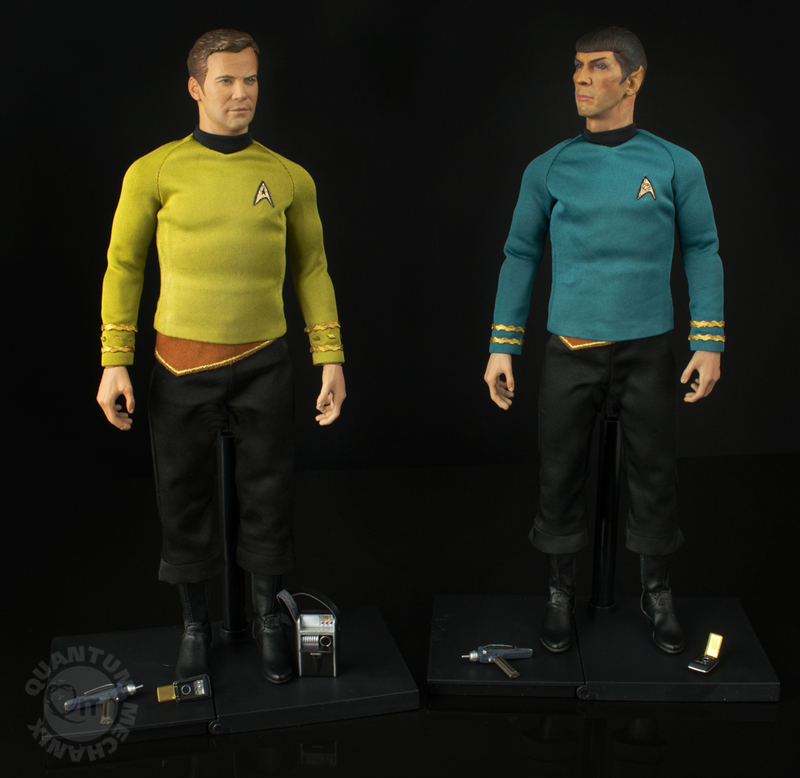 At the Toy Fair the Spock figure was labelled up for third quarter release this year, while Kirk was ambiguously to be determined. At last year's Toy Fair QMx also previewed a sixth scale Captain Picard figure, but he didn't show up this time. Has he vanished? Let's hope not as he looked pretty good too! 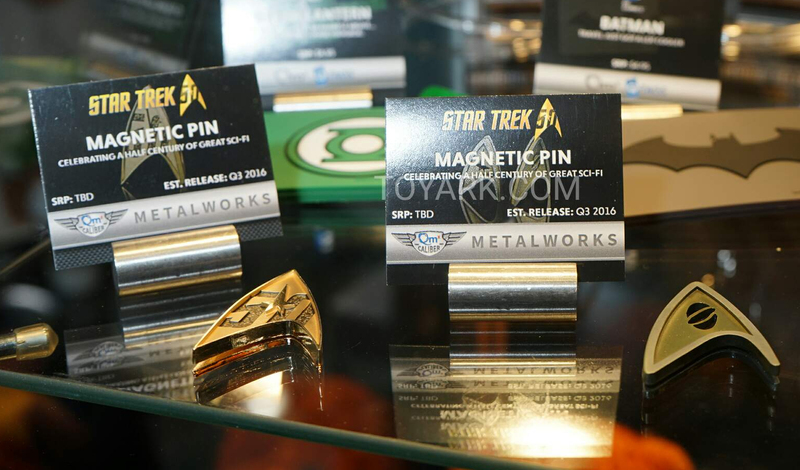 QMx are also planning to expand their range of magnetic insignia badges. Previously they have released TNG era combadges, and nuTrek insignia replicas, and now they are doing TOS equivalents. 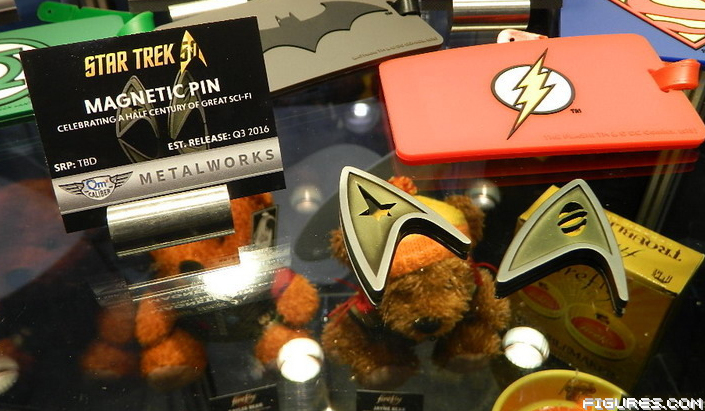 Like the previous releases these will have magnetic clasps. 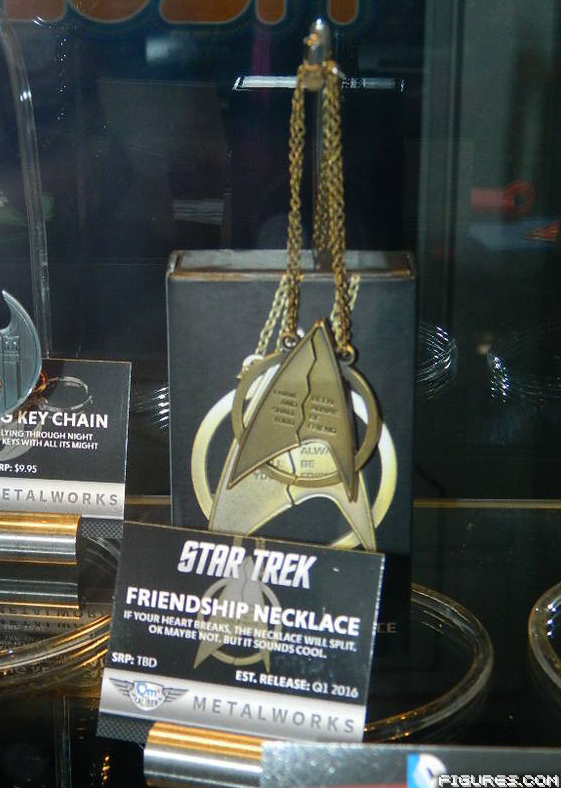 There will also be a 50th anniversary logo version. All of these are expected later this year. Finally the recently announced friendship necklace was also on display. This is expected to arrive in the next few months. Above images come variously from Figures.com, Toy Ark, and Cool Toy Review, who all have extensive galleries of QMx's displays, where you'll find many other views of the above items, and everything else QMx was showing. 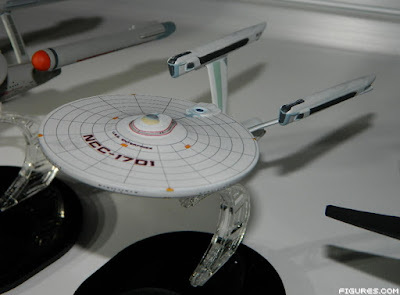 I sure hope that they have decent quality control for the nacelles. 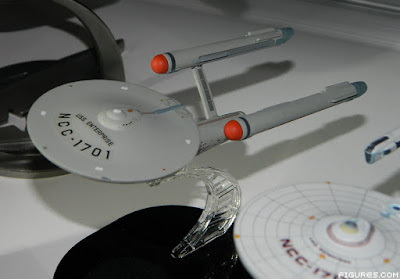 It's continually disappointing to keep getting ships with droopy nacelles, incorrect angles, etc. Really hope they can get it right! The fact that the Refit they're displaying at the toy fair has a crooked nacelle isn't the best sign IMO....First thing I noticed when I saw the picture. Are they completely plastic, or a die-cast mix?